Words and photos by Cody LyngeThe Orage team has arrived home safely after a weeklong photo shoot in Banff, Alberta, where heavy snowfall made for interesting travel conditions. 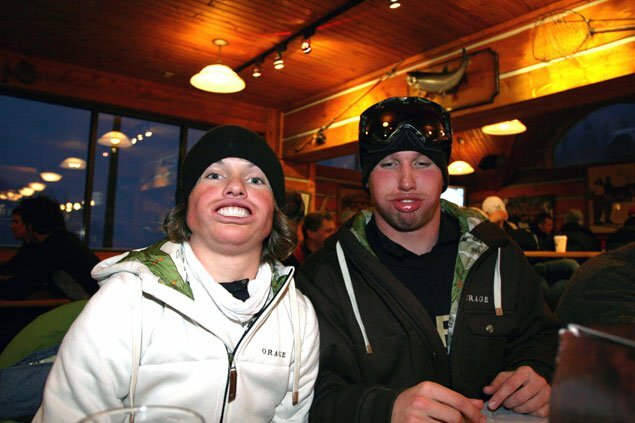 Team Orage travelled with JP Auclair, TJ Schiller and Michelle Parker to the region and were accompanied by photographer Chris O’Connell. The team visited Calgary’s Fresh Sports and headed to the Banff area to shred at Sunshine Village and Lake Louise, where incredible early season snowfall made for some epic turns. Where do you have the chance to ski bottomless powder, watch elk come downriver and get some amazing early season photographs in November? 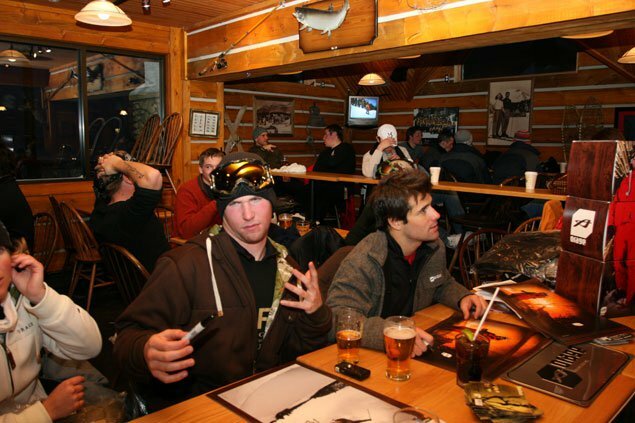 … only in Banff!In addition to the photo shoot, the first stop of the Orage Pros and Powder Tour was kicked off this past Saturday, November 25 at Sunshine Village. 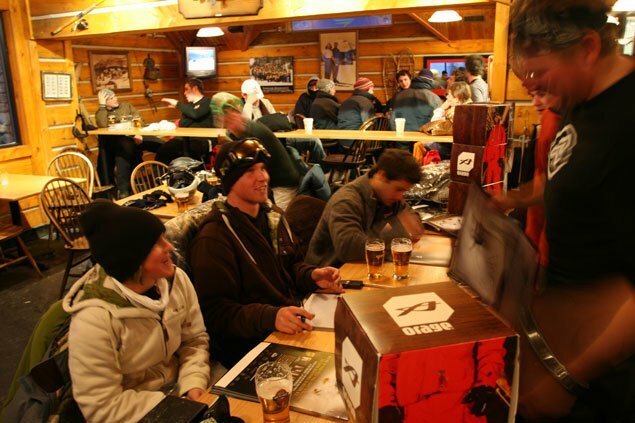 Over 200 guests swung by the Orage Pros and Powder Tour booth and were given armloads of schwag, a chance to win a paid catskiing trip to Retallack Cat Skiing Adventures in Nelson, BC and the opportunity to ride with some of skiing's hottest athletes. JP, TJ and Michelle were on-hill all day skiing with resort guests from 10am until 4pm. Even the –25 Celsius temperatures (-13 Fahrenheit) didn’t scare anyone. 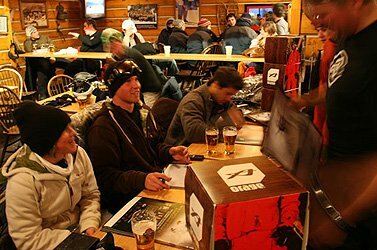 A big shoutout to the Orage Pros and Powder Tour partners including Volkl, Marker, Tecnica, Anon Optics and Sunshine Village. 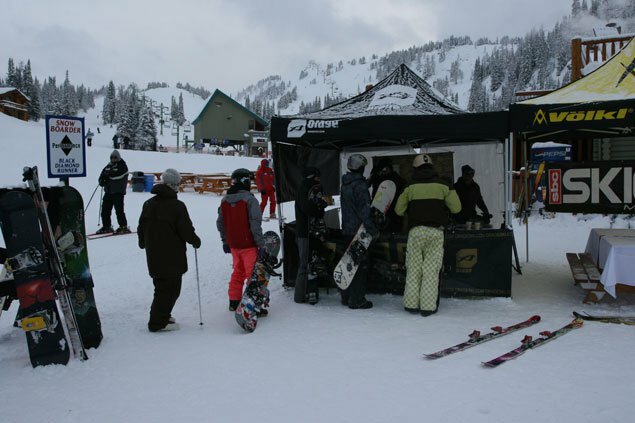 The Tour’s next stop will bring the Orage team to Mount Seymour Resorts in Vancouver, BC on December 16 — be there for your chance to get some schwag, win a ski trip and most importantly, ride with the pros!